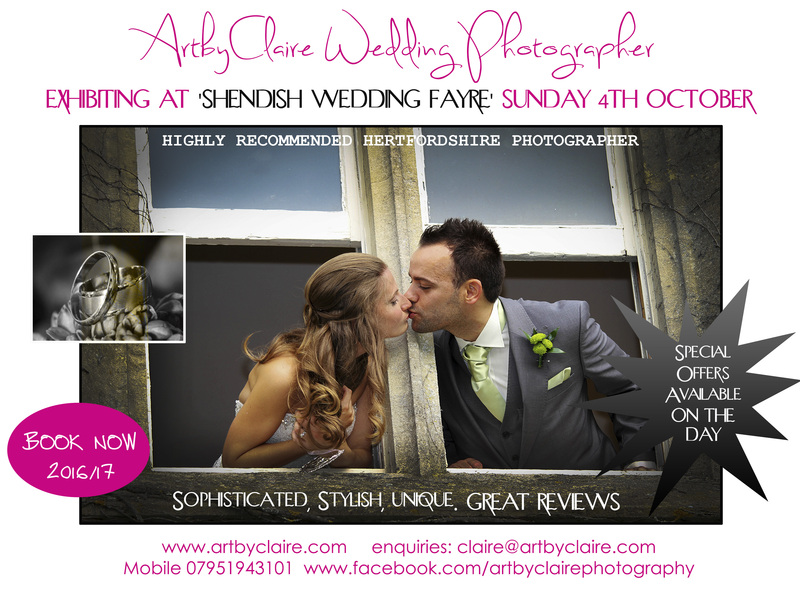 I will be attending Shendish Manor Wedding Fayre on Sunday 4th October 2015 – a great wedding show not to be missed! 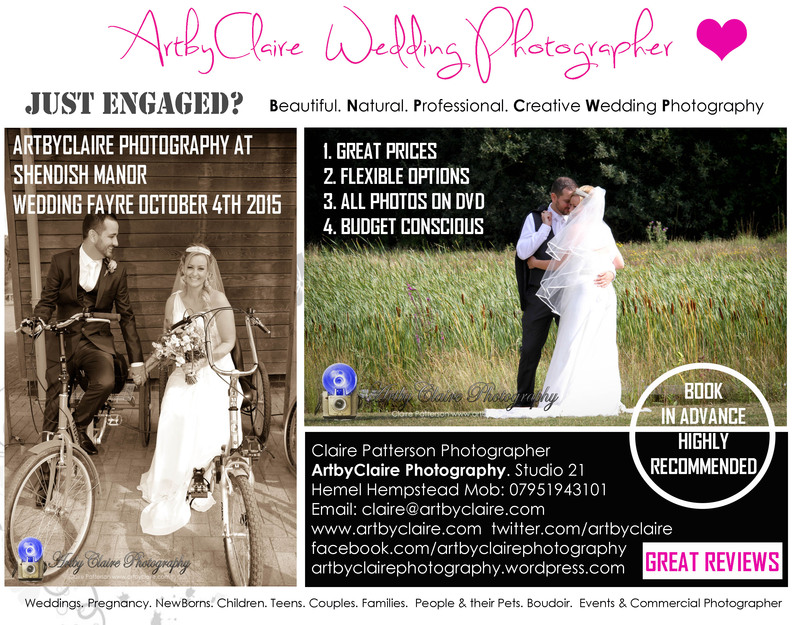 ArtbyClaire Photography Wedding Offer – Congratulations all newly engaged couples! 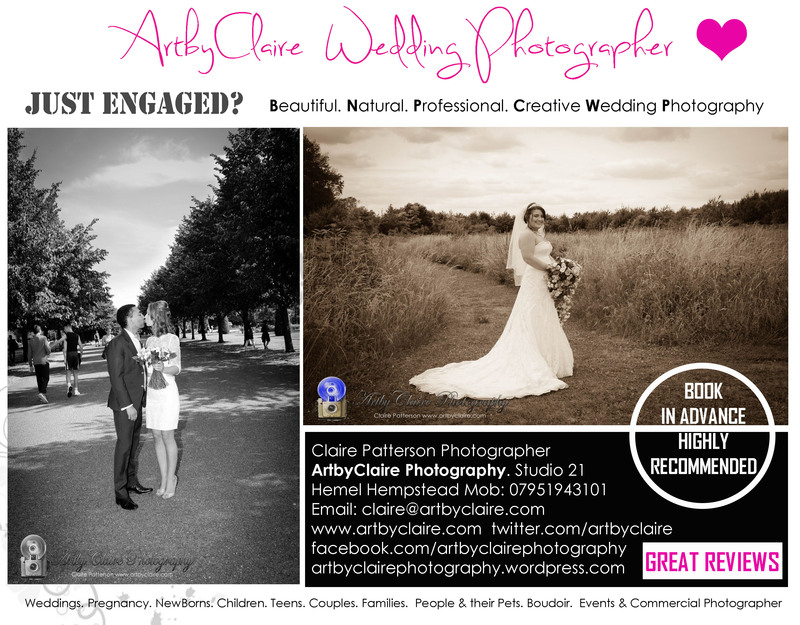 Are you looking for a creative Wedding Photographer for your special day with fantastic prices & options? Email me your budget.